We’re more than just a Gym in La Crescenta! We’re here to help you reach your fitness goals, not simply lift weights and get a workout in. Our programs range from beginner to advanced and our knowledgeable coaching staff can help you find the group or training situation to achieve your goals! 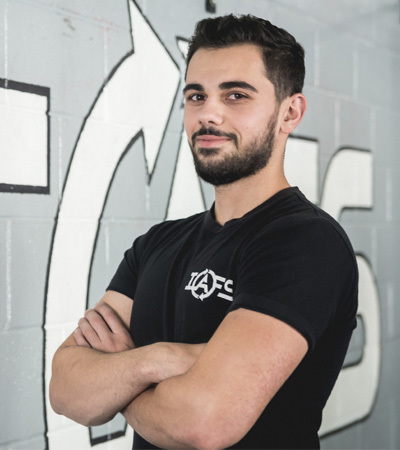 Founded in 2016, the goal of Interactive Fitness Systems (IAFS) is to empower health and fitness professionals to help clients improve their wellbeing. We also look to empower them with the knowledge to better their own fitness, their interactions with others, and in turn, to help others improve themselves. Our mission is to create a better society – one individual at a time. 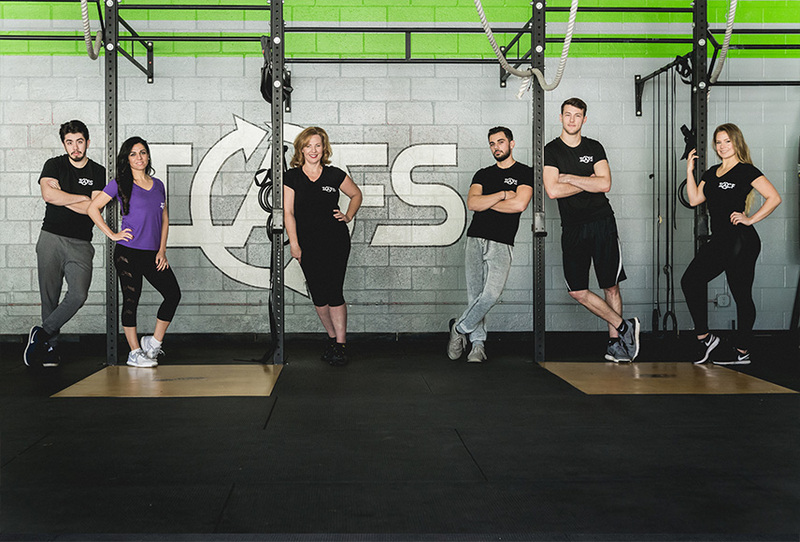 We offer in-person, group coaching, personal training, personalized programming, small group training, and CrossFit team coaching. 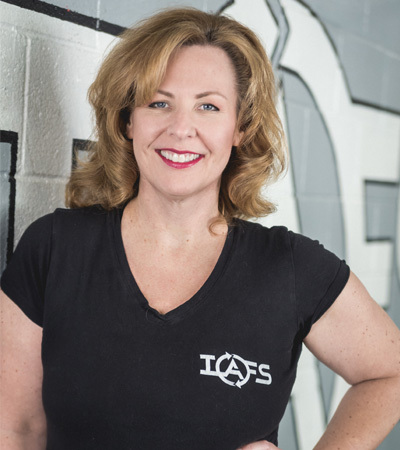 My name is Julie and I’m one of the owners here at Interactive Fitness Systems (IAFS). I love what I do because I have a passion for helping people! At IAFS I get to see my members reach their goals, gain confidence, and change their lives for the better. I love inspiring our members to keep going even when they feel like quitting. What could be better than that? My love for fitness was born in 2011 when I was feeling stuck and frustrated with being unable to hit my goal weight. On a friend’s suggestion, I tried CrossFit. With a lot of work and excellent coaching, I’m proud to be a healthier, happier person because of it. Every day when I arrive at IAFS, I look forward to be a part of our gym’s community. We lift each other up and encourage each other, building confidence and self esteem for the whole team. If you’re looking for a gym that will help you change your life, give us a call! it be muscle gain, weight loss, recovery from injury, or movement correction. Fitness is more than just lifting a dumbbell or doing a push up; it’s a mindset. I received my B.S. in Kinesiology, Exercise Science in 2018. I am also certified through the National Strength and Conditioning Association (NSCA) as a Certified Strength and Conditioning Specialist (CSCS). Not only do I have experience in group fitness and one-on-one fitness but, having played team sports for most of my life, I also enjoy working with athletes. 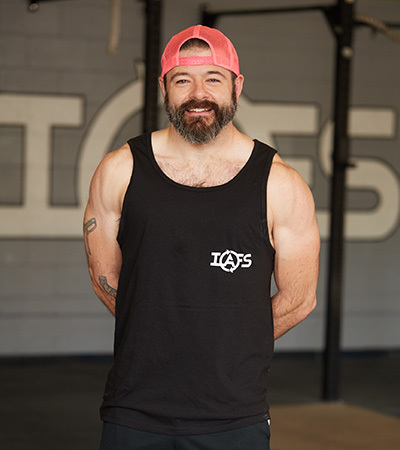 I have competed nationally as a weightlifter in the American Open Series and have obtained my United States American Weightlifting (USAW) L1 certification and am the coach of our gym’s olympic weightlifting team. 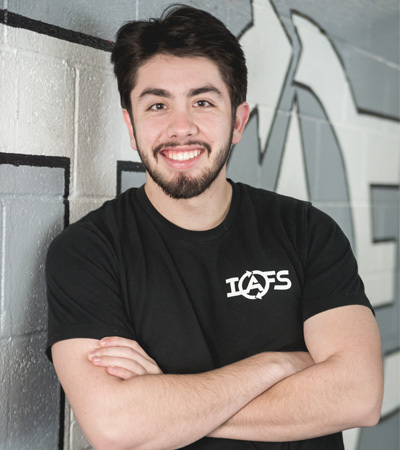 I also work part-time as a physical therapy aide, and my goal is to become a doctor of physical therapy and ultimately combine my fitness training with my physical therapy training for improving my client’s quality of movement. Hi! I’m Efren, a certified personal trainer here at Interactive Fitness System. 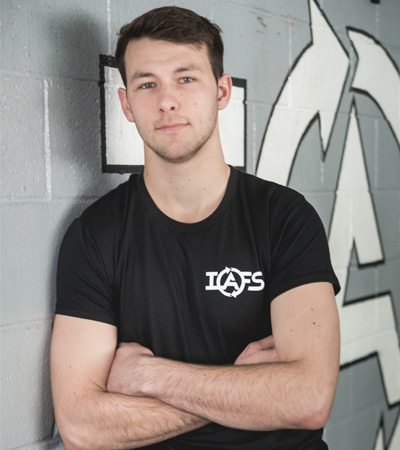 I joined IAFS as an athlete 4 years ago and sprouted into coaching a year in. For for the past 3 years I’ve been coaching one on one and groups of 3-12 alike. If you’re interested in attaining your fitness goals give me a call or shoot me an email! Michelle’s fitness journey began when she started playing volleyball in 2007, which later lead to her passion for fitness, health and nutrition. Michelle continued her volleyball career at Pasadena City College from 2014-2017, where she got her AA in Natural Sciences, and Cal State University, Los Angeles from 2017-2018, where she studied Kinesiology. Michelle also has experience coaching girls club volleyball (2014-2017), and has a background in flag football and Olympic weightlifting. Her favorite part about being at the gym is empowering others and helping them to achieve their health and fitness goals. She is positive, encouraging, and constantly striving to learn new things in hopes of helping others. Hi! 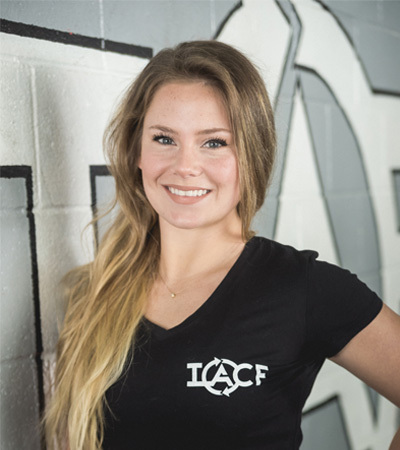 I’m Manifa, one of the Certified Personal Trainers here at IAFS. I began my fitness career in 2005 after receiving my B.S in Kinesiology. I also have personal training certification through NASM and Action P.T. I spent two years training clients in a one-on-one environment, and found that I rarely had a client who didn’t suffer from some type of past or current injury. To better help, I earned my Corrective Exercise Specialist (CES) certification. In addition to being experienced and certified in areas such as strength, core, conditioning, balance, and weight management, I also have specialty certifications such as Functional Training, Neuromuscular Stretching, Optimum Performance Training, prenatal fitness, and Senior fitness. I truly believe that to improve performance and reduce the risk of injury, it’s important to train movements – not just muscles. I really love the team atmosphere at IAFS and strive to make training fun while still being effective. No matter what your fitness goals are, I can help you get there safely. I am from Port Townsend, Washington. The Olympic National Forest is where I fell in love with trail running, skiing, and competitive sports. I moved to LA in 2017 to attend Art Center College of Design for Product Design. My focus is on medical devices and sports adaptability. Gym, Fitness, Weightlifting, Boot Camp, USAW Weightlifting team and Personal Trainers. Strength and conditioning workouts, weightlifting with barbells, kettlebells and a variety of challenging equipment. Tiered level programming. Our members can constantly grow within our programs. To keep our members strong and healthy. We are committed to keeping our members growing within our programs.